The Institute of Psychiatry, WHO Collaborating Centre for Mental Health Training and Research, Benazir Bhutto Hospital hosted an auspicious gathering of the leading professionals in the field of mental health today in lieu of celebrating World Mental Health Day.World Mental Health Day is observed on 10 October every year, with the overall objective of raising awareness of mental health issues around the world and mobilizing efforts in support of mental health. It is a day for global mental health education, awareness and advocacy; and was first celebrated in 1992 at the initiative of the World Federation for Mental Health, a global mental health organization with members and contacts in more than 150 countries. The Day provides an opportunity for all stakeholders working on mental health issues to talk about their work, and what more needs to be done to make mental health care a reality for people worldwide. 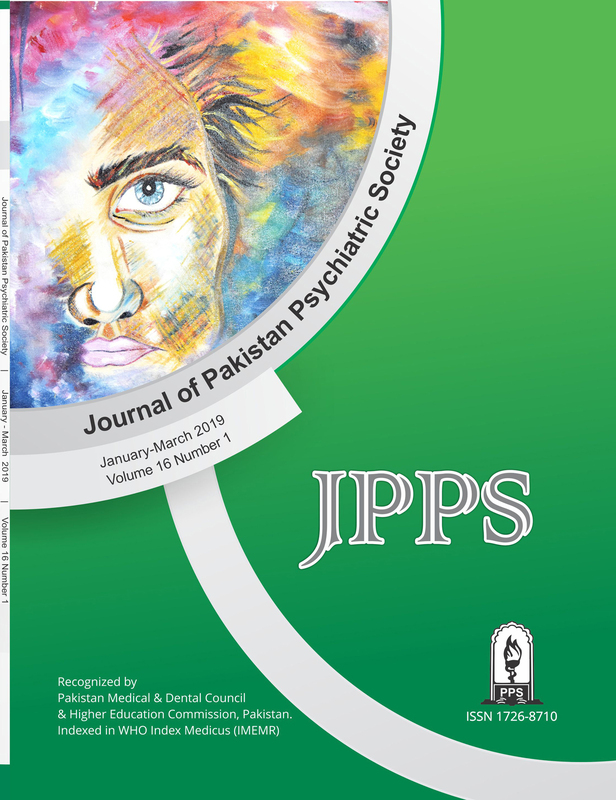 The theme for 2014 is “Living with schizophrenia” and served as the focal point of the talks delivered at the Institute of Psychiatry, Rawalpindi today. Prof Fareed Aslam Minhas served as host and in attendance were the Principal of Rawalpindi Medical College Prof Muhammad Umar, Professor Emeritus and founder of the Institute Prof Malik Hussain Mubbashar, Brig (R) Mowadat H. Rana, Dean of Faculty of Psychiatry, College of Physicians and Surgeons, Dr. Safi Malik representing the Mental health Division of Ministry of Health, Dr. Siham Sikandar, Director of the Human Development Research Foundation (HDRF) and the doctors, psychiatrists, psychologists, nurses and other staff of the Institute. Dr. Zaidan Idrees, Senior Resident at the Institute was the facilitator for the session. After recitation from the Holy Quran, Prof Minhas took the stage and introduced the distinguished guests. He started the discussion drawing on his insights from his own clinical experience of working with patients suffering from schizophrenia. Maintaining anonymity of his patients, he described the various experiences that he has shared over the years and the shaping of his concepts of the illness as being a disorder of thinking, emotions and behaviour leading to disintegration of personality. He said that schizophrenia is a spectrum disorder with its diagnostic and treatment aspects rooted diversely in genetics, family dynamics, communication, role models, stigma and barricades to treatment. He movingly spoke about the trials and tribulations faced by these individuals and their caregivers and his own empathic journey of ‘’living with schizophrenia’’. The next speaker was Dr. Siham Sikandar who gave an impressive presentation on formulative research being conducted in Pakistan and India under the auspices of the South Asian Hub for Advocacy, Research and Education on Mental Health (SHARE). He presented the goal of his work as being the development of an innovative, feasible, effective and sustainable community based approach for delivery of established psychological treatment that reduces burden of perinatal and maternal depression in South Asia. He appraised the audience of the scientific and high quality research programs that have been conducted in the past and the methodology and design of their ongoing projects. His presentation stimulated an interactive discussion with the audience and discussion of future avenues for mental health research. Prof Mowadat H Rana then took the stage and mesmerized the audience with his unique insights and passionate delivery on the subject. He spoke of the challenge of dealing with schizophrenia in its many dimensions and the evolving concepts of the disease. He apprised the audience of the fact that schizophrenia is now recognized as a polygenic, multifactorial, multisystem disease with physical, neurological inflammatory, autoimmune, psychodynamic, cognitive, behavioral and social features. He spoke of how the existing efforts towards treatment and management focus largely on being biological, reactive and restorative – which he described as a ‘homeostatic’ approach. However after deliberating the multidimensional nature of the illness he encouraged the audience to develop an approach that is predictive, preventive, adaptive through ongoing change, centrally co ordinate and controlled, multisystemic, dynamic and ensures order, adaptability and organized growth leading to visionary progress – which he coined as the ‘’allostatic’’ approach to living with schizophrenia. The proposed allostatic shifts focus on treatment, prevention, protection and promotion which can be achieved by preventing genetic transmission in high risk families through 3 Ms (Media, Mosque, Mothers), predicting high risk pregnancies, psychosocial interventions in child rearing, adolescent upbringing, adult habilitation, old age monitoring, early detection and intervention, a bio psycho social approach, multi system assessment and management and extension of care to caregivers, families and communities. Prof Malik Hussain Mubbashar (H.I., S.I.) then delivered an inspiring and motivating talk to the gathering focusing on mental health issues and their solutions on different levels. After giving a brief commentary on the talks given by the speakers he first narrated the heartrending story of his inspiration for joining the field of mental health after his visit to an institutional asylum for the mentally ill as a child. He spoke passionately about his 47 years of experience working with patients and his undiluted empathy and dedication to the mentally ill. He spoke of his rich experiences of working with patients and their families and imparted the valuable lessons he learnt to the audience. He then had an interactive discussion with the mental health professionals regarding the evolving concepts, nosological systems and stigma associated with schizophrenia and outlined clinical goals of practicing clinicians in their assessment and management of patients. He encouraged young clinicians to learn from their experiences and put their acquired knowledge, attitudes and skills to use in furthering the cause of mental health. He lauded the participation and work of Dr. Safi Malik representing the Ministry of Health Mental Health Division and gave his views on the steps forward to be taken by policy makers, encouraging him to challenge the defences and denials that serve as barricades to action; that mental health is a problem for the developed world, the underestimation of its impact on morbidity and mortality and that mental illnesses are refractory and untreatable. He said that all policy makers and stakeholders must unite to decentralize, destigmatize, deinstitutionalize and deprofessionalize our approach to mental health issues and to achieve this we must develop linkages with ministries, bureaucracy, social welfare and human rights organizations. He concluded his talk by delivering inspirational poetry and verses leaving the audience with a message for the future. Prof Minhas then introduced Prof Muhammad Umar and spoke of his efforts and participation in raising the Rawalpindi Medical College to new heights in providing care and groundbreaking academic and research activities. Prof Umar thanked the hosts and expressed his appreciation of the speakers and the Institute of Psychiatry, vowing to continue to lend his unwavering support in all future activities. The session was followed by refreshments and tea for the guests and informal interaction of the speakers with the participants.